Bali – Hostels in Bali. Maps for Bali, Photos and Reviews for each hostel in Bali. Looking for a hostel in Bali? Look no further, all the good deals in Bali are on Dorms.com. Like thousands of other people every month, book your hostel securely at the best price in all neighbourhoods of Bali. 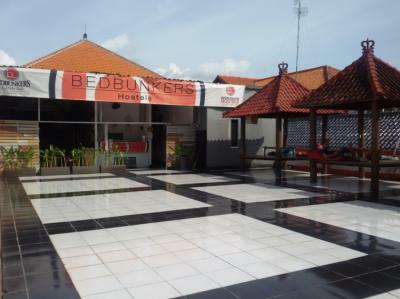 On this site, you can easily find a hostel downtown, in a trendy neighbourhood; a hostel in the student- university district, close to bus or train stations, airports or major attractions of Bali. Ubud is 35.4 km from Freedom Hostel, and Seminyak is 12.9 km from the property. The nearest airport is Ngurah Rai International Airport, 6.9 km from the property. I love that the management did not scrimp on their spaces. Plenty of places to chill, nice outdoor area, staff who knows how to give a good time to guests. Facilities are brand new, perfect place to relax as it is quiet and strategically located. A few minutes rides to the beach. Interesting choice if you are travelling in Bali The atmosphere is really great and the staff makes you feel reallly right at home. They have a pool and garden right next to it where you can learn Yoga, Muay Thai or simply chill. You will need a scooter to explore this part of Bali. New, comfortable beds. The owners who ran the hostel are really hospitable. You will feel right at home during your stay. 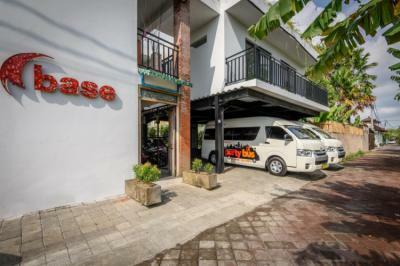 The hostel is located 50 metres from the busy Pantai Batu Bolong road, Base Guest House and Hostel is secluded and a great place to unwind after a wonderful day exploring Bali. The place is kept clean and the common room is a great place to relax on the couches. Staff go out of their way to help you. The 3 tier beds are comfortable enough and the place is really affordable. The staff are cheerful and friendly. 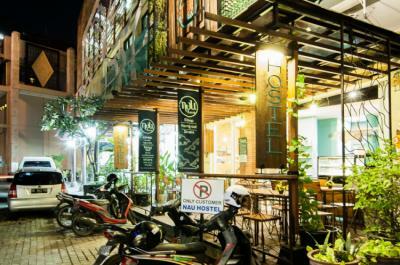 Located in the buzzing heart of Bali’s most famous tourist attraction area, Kuta, Nau Here Hostel let you feel the calm environment where you can relax in daytime and explore the hustle-bustle of surrounded happening spots within walking distance. Be it a holiday, a getaway, a business trip or a backpacking journey, the youthful and chic concept of Nau Here Hostel will keep you stay in comfort and provide you an easy access location to accommodate any of your travel purposes. Nice and quiet. Clean dorms. I recommend this hostel in Bali. Cool beds and nire staff. Thank you. The price might be a little steeper than most accommodations but you will definitely get your money's worth with the facilities and location. Fast and reliable wifi connection, fresh linen and towels and I LOOOVE the double bed dorms! Breakfast offers a wide range of jams and spreads, bread, coffee and tea which you can definitely enjoy at the rooftop while taking in the views of the city. 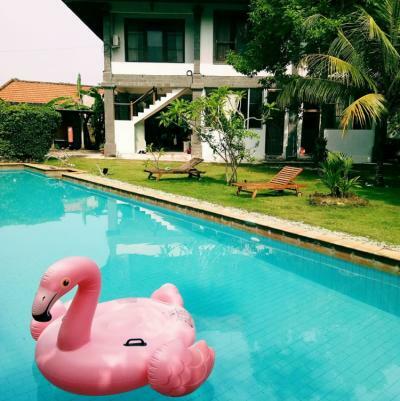 Located in the heart of Kuta, it's easy to go around and visit the main attractions and the hostel is also a walk away to the beach. There are also fast food chains around the vicinity. 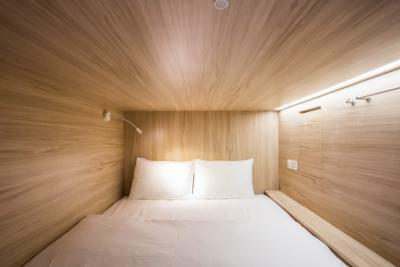 I love that even though you are sharing a dormitory with fellow travellers, you get your own sockets, plugs, reading light, pull out table and privacy is still ensured with the bed shutters. Will definitely stay here again! You would easily find a restaurant along the road. It is only 10 minutes away to Kuta by motorbike. 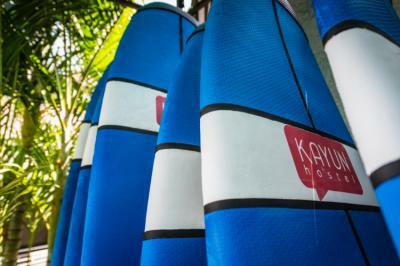 Kayun hostel is in the heart of Bali's best hangout area, surrounded by clubs, bars, culture, shops and of course, Kuta Beach, all within 500m radius! The moment you step inside the hostel you will easy the everything is so easy on the eyes. Their inhouse cafe serves fantastic food and healthy options like fruit bowls, smoothies, fruit shakes, etc.The hostel is a bit away from the center but easy to go to while renting a scooter or getting an Uber. 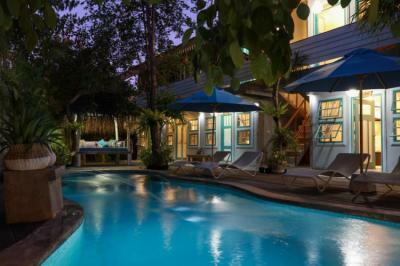 This hostel is definitely one of the top must stay in Seminyak. Beautiful rooms with comfortable beds and clean linens, spacious bathrooms and the pool is definitely a must to relax after a long day. The restaurant serves really good food even the tourists from other hostels go there to check it out.